Sužinokite apie savo ateities automobilio galimybes! 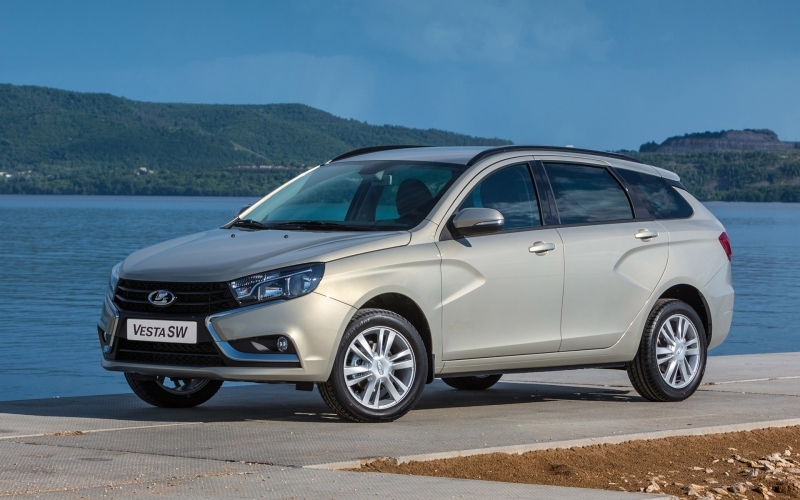 LADA Vesta SW – means pragmatism and elegance expressed in the flowing line of the roof. 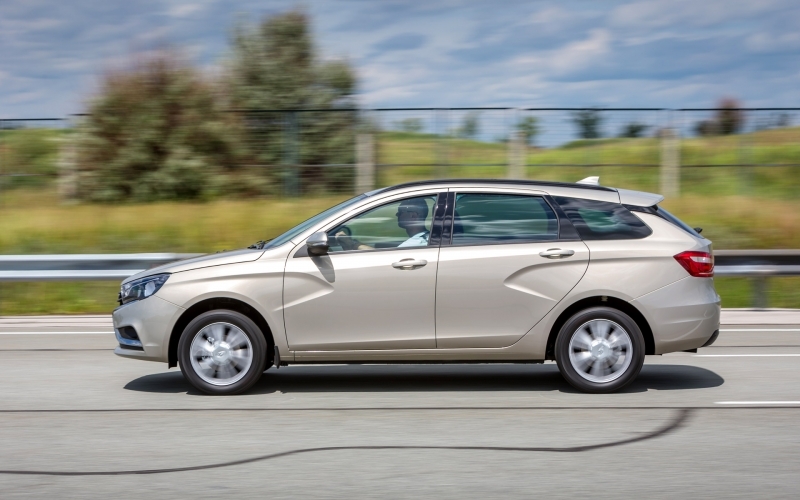 Definitely recognizable, brilliant and balanced design of LADA VESTA impresses everyone. The contrast ‘X’-graphics is both in VESTA’s radiator grill and in arrow-shaped tail lights and in interior design. The vehicle’s particular appearance pleasing to look back at. 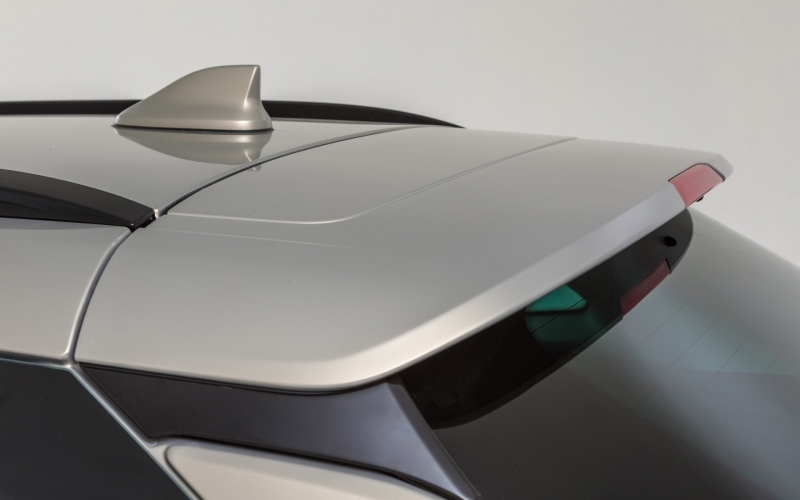 • Stylish and aerodynamic antenna-fin. • Central armrest with USB charging for rear seat passengers. • EXTERIOR ELEMENTS: air-dynamic roof rails, «shark fin» antenna, and spoiler add to the body expressive style thus emphasizing the vehicle dynamism. • AUDIO SYSTEM: audio system with controls on the steering wheel: optimum set of functions (4.3-inch monochrome display, FM/AM with RDS function, USB, SD card, AUX, Bluetooth, Hands free, 4 speakers). 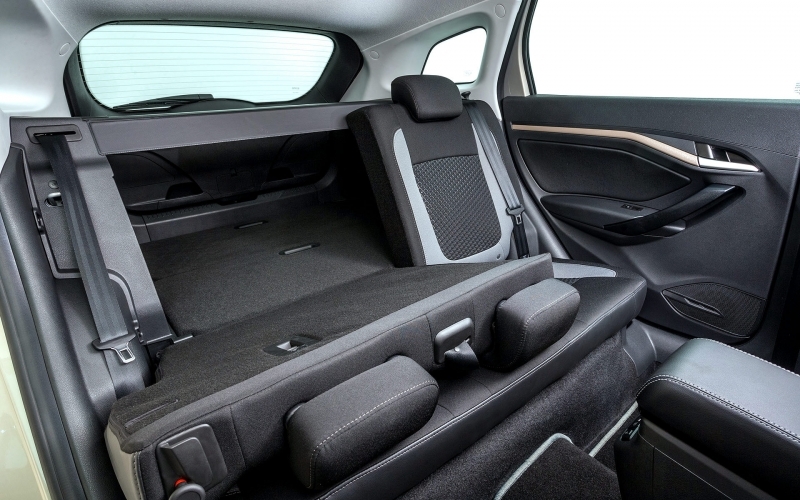 • CLIMATE: air conditioner, heating of windscreen, exterior mirrors and front seats – even in initial trims, LADA Vesta SW forms high level of comfort. • WHEEL DISCS: light-alloy 16-inch discs looks stylish and allow getting an eyeful of rear disc brakes installed onto the vehicles with engine 1.8 l.
• EXTERIOR ELEMENTS: outside door handles of the same colour as the body, rear view camera are the details forming the equipped LADA Vesta SW appearance. • AUDIO SYSTEM: multimedia system is the set of functions allowing to find the way and to create the desired mood: route guidance, Bluetooth, HandsFree, USB AUX, • 4 loudspeakers + 2 high-frequency loudspeakers. • CLIMATE: climate control with function of glass fast defrosting and the set temperature maintenance – high efficiency, user-friendly indication of modes. 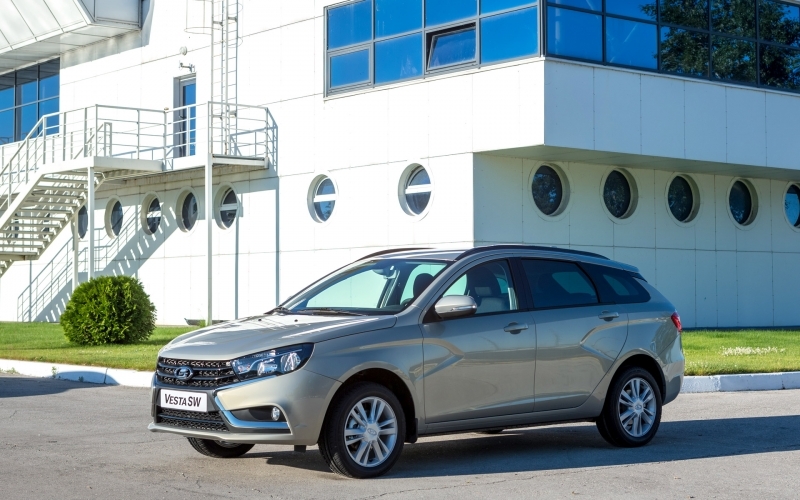 Electric heating of windscreen, mirrors and seats – LADA Vesta SW helps forming of the microclimate as comfortable as possible. 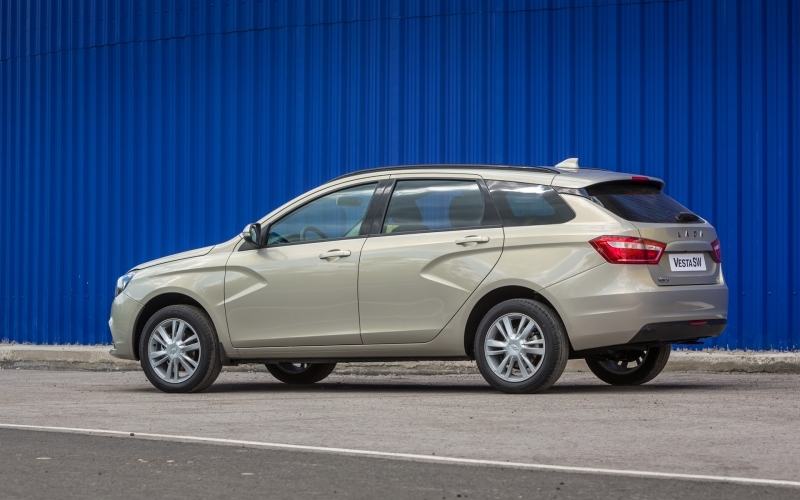 LADA Vesta means high level of comfort and brilliant style. 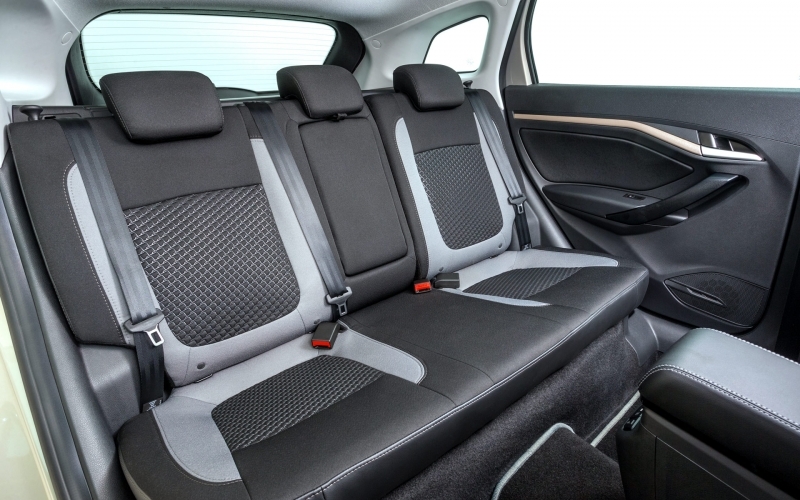 Each line of the body and each facet of the lighting equipment emphasize the vehicle character: dynamics and sports car controllability, comfort of roomy cabin, and excellent quality of ride. 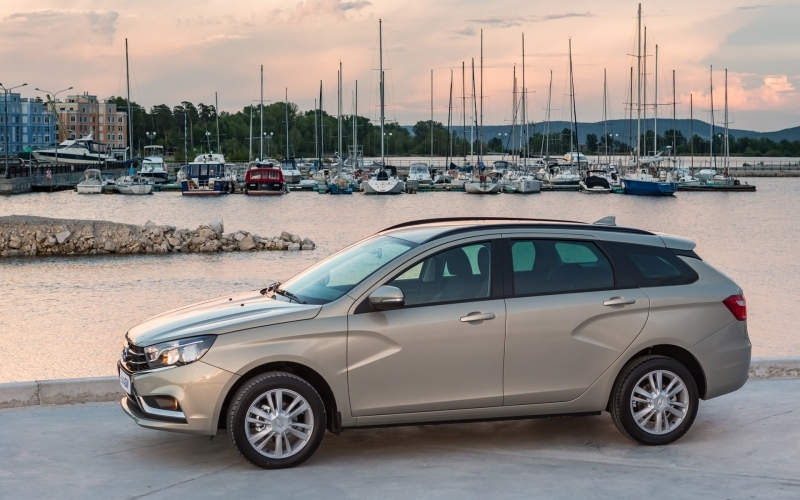 Reliable, durable and, up-to-date Lada VESTA combines the best of the best and the most essential of essential – to ensure confidence under any circumstance.